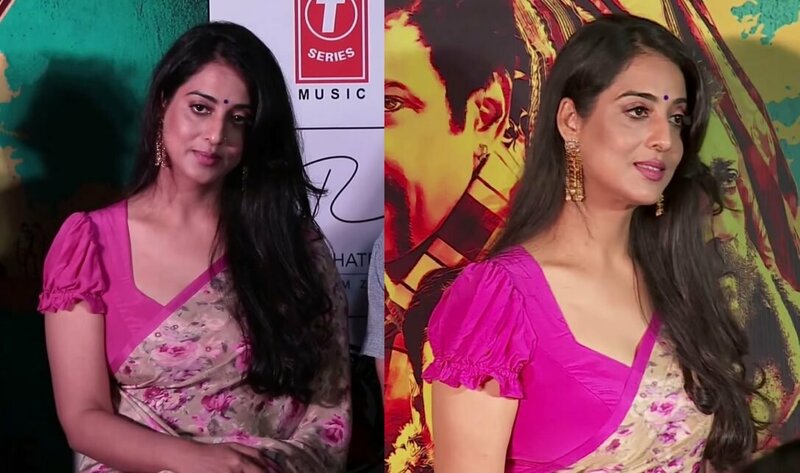 Mahie gill attended the trailer launch of her upcoming movie called Phamous. She was looking gorgeous in a saree at the event. Phamous is an upcoming movie scheduled to be released on Jun 1, 2018. The movie is directed by Karan Lalit Butani. It will feature Jackie Shroff, Jimmy Sheirgill, Kay Kay Menon, Shriya Saran and Mahie Gill in important roles. Set in Chambal the film is about four men who have different paths but connected to the main story in some ways. In short, it is about men who are in search of power, love, lust and justice.